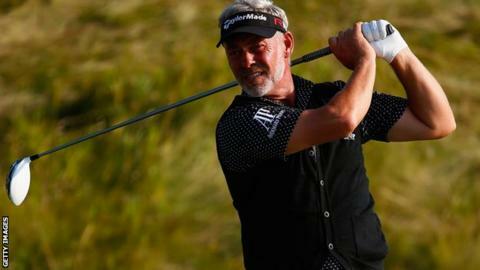 Darren Clarke hit a two-under par round of 69 on the opening day of the Danish Open and lies six shots behind leader David Horsey at the Himmerland course. The Ryder Cup captain dropped three shots in his first two holes but hit back with four straight birdies. Belfast's Michael Hoey picked up four shots in the opening six holes but finished a disappointing level par. Ireland's Peter Lawrie is tied fourth after a five-under par round which included five birdies and an eagle. Clarke slipped to one over with bogeys on the 11th and 12th holes but hit three birdies in a row to stay in contention. Hoey made a brilliant start with two early birdies followed by an eagle at the sixth, but he failed to build on a good start and dropped four shots on the back nine, including a double bogey on the 17th.